Autumn does not matter. We have a wool above. Jypyä Pop (Turku, Finland) on 16 October 2014 in Animal & Insect and Portfolio. This is an advantage for the animals, they have the wool or fur on the back. :) Very nice composition, the colors are beautiful. Excellent photo. What a lovely scene this makes - and, yes, they are equipped to survive the winter ! @Ronnie 2¢: Thank you. I agree with you. bel humour ! belle photo aussi. with beautiful composition, colors, light & title! Lovely capture. Great colours and mood. 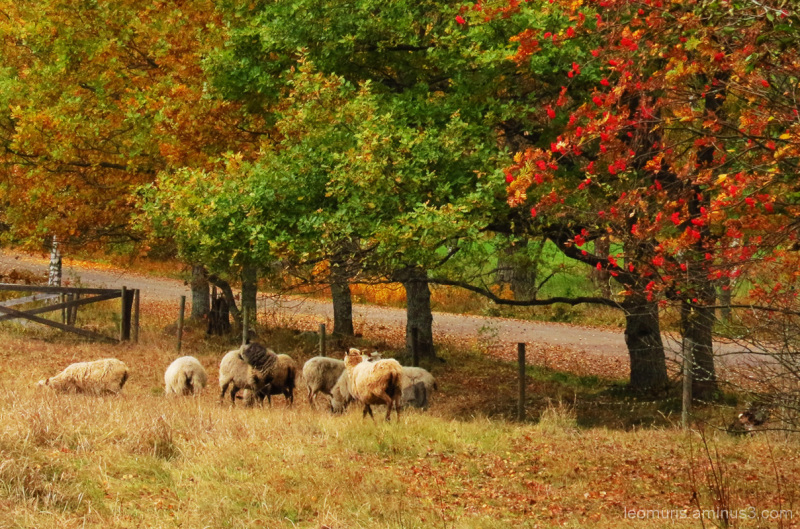 Fantastic autumn frame..Lovely woolly woolly animals down there !! Beautifully framed with autumn colors. I like wooly sheep! De belles couleurs d'automne chez toi. Ce rouge est beau.